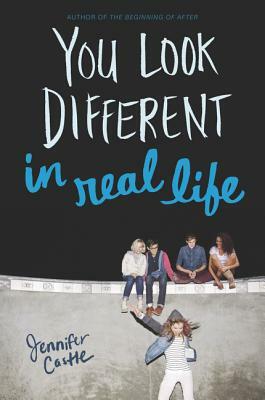 Readers of John Green, Sarah Dessen, and Laurie Halse Anderson will be touched by the emotional depth and realistic characters of Jennifer Castle's teen novel You Look Different in Real Life. Justine charmed the nation in a documentary film featuring five kindergartners. Five years later, her edgy sense of humor made her the star of a second movie that caught up with the lives of the same five kids. Now Justine is sixteen, and another sequel is in the works. Justine isn t ready to have viewers examining her life again. She feels like a disappointment, not at all like the girl everyone fell in love with in the first two movies. But, ready or not, she and the other four teens will soon be in front of the cameras again.